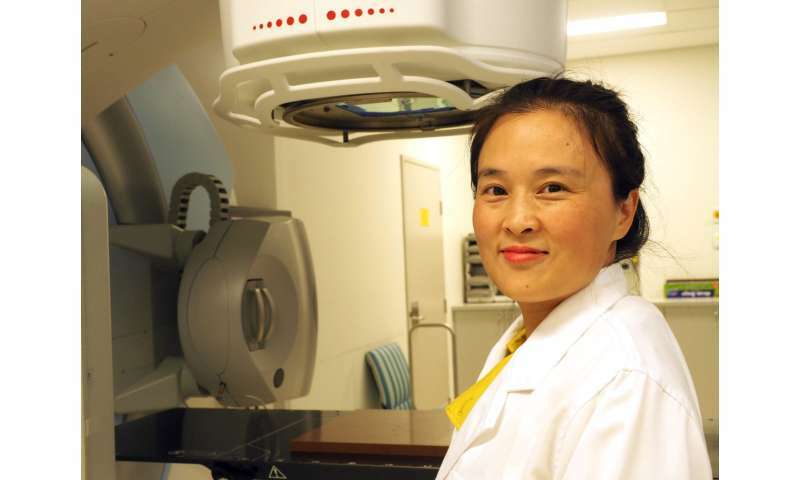 "The development and application of various nanomaterial designs for drug delivery is currently a key focus area in nanomedicine," says lead author of the research Dr. Wei Deng, Associate Investigator at the ARC Centre of Excellence for Nanoscale BioPhotonics (CNBP) and scientist at Macquarie University when the research was undertaken. "Liposomes are already well established as an extremely effective drug-delivery system. Made out of similar material as cell membranes, these 'bubbles' are relatively simple to prepare, can be filled with appropriate medications and then injected into specific parts of the body. The issue however, is in controlling the timely release of the drug from the liposome," she says. "We have ensured that the liposomes release their drug pay-load at exactly the right time and in exactly the right place to ensure the most effective treatment. One way of doing this is to trigger the collapse of the liposome when and where it is needed. Our X-ray triggerable liposomes allow this on-demand drug-release to occur," says Dr. Wei Deng. "The approach we took was to embed gold nanoparticles and the photo-sensitive molecule verteporfin into the wall of the liposome." 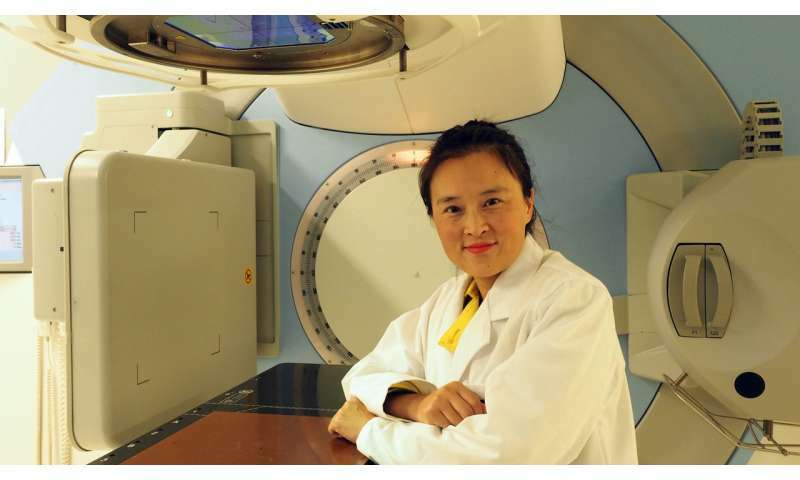 "The radiation from the X-ray causes the verteporfin to react and to produce highly reactive singlet oxygen which then destabilises the liposomal membrane, causing the release of the drug," says Dr. Wei Deng. "The gold nanoparticles are added into the mix as they focus the X-ray energy. This enhances the singlet oxygen generation and hence improves the speed of the membrane breakup", she says. 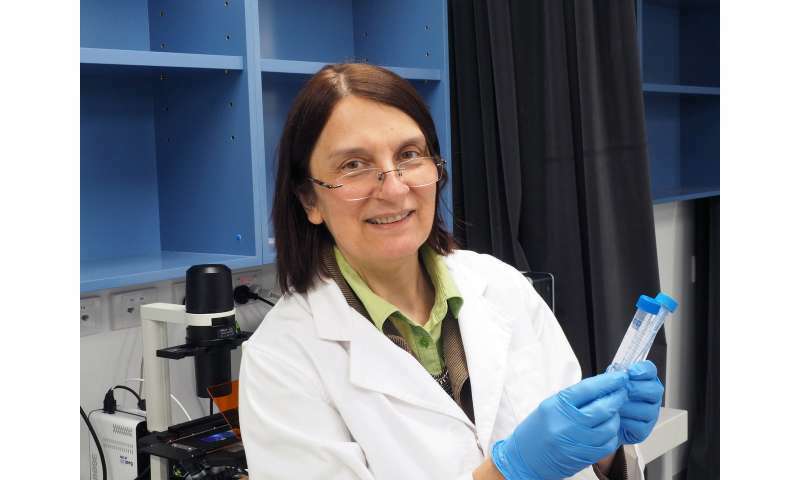 Senior researcher on the project at Macquarie University and Deputy Director CNBP, Professor Ewa Goldys noted the study's success in using the new liposome to successfully kill cancer cells, in a laboratory setting. 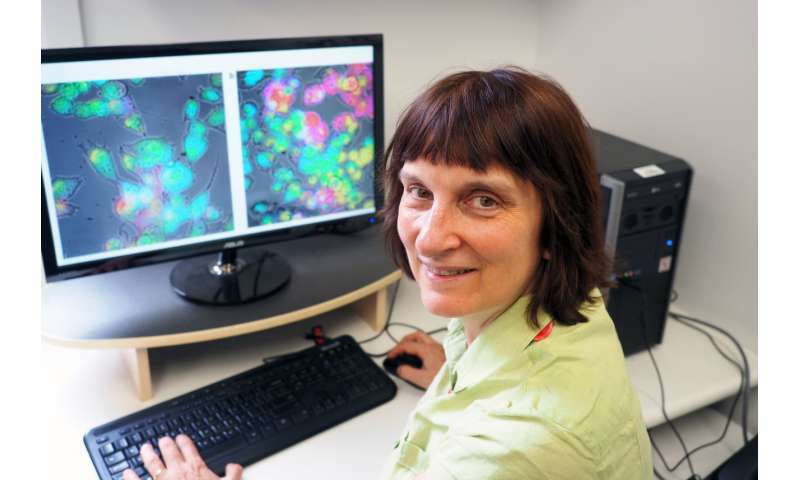 "Our X-ray triggered liposomes were loaded with the chemotherapy drug, doxorubicin, which killed the cancer cells far more effectively than without X-ray triggering," says Professor Goldys. "We then tested our liposomes to determine effectiveness against bowel tumours. Tumours treated with our liposomes gradually shrunk over the two week test period which is an extremely encouraging result." "Currently radiotherapy where X-rays kill cancer cells, and chemotherapy, are typically given to patients separately," says Prof Goldys. "Our method makes it possible to perfectly synchronise both treatments so they can be given simultaneously. This enables enhanced therapeutic outcomes with potentially reduced doses of drug and/or radiation required because of this exquisitely precise timing of drug release." This research was reported in the scientific journal Nature Communications with researchers affiliated with CNBP, Macquarie University, The University of Sydney, The Royal North Shore Hospital, The Kolling Institute of Medical Research and Sechenov University, Moscow. The X-ray radiation experiments were generously supported by Genesis Cancer Care NSW at the Macquarie University Hospital. Dr. Deng and Professor Goldys are now at the University of New South Wales, Sydney.